'White people in their big shiny cars drive many kilometres with their sickness which I heal; sickness of the mind, body and of the soul. I charge a bit more for the soul'. At night, a young black boy is 'questioned' by a white South African policeman...36 years later, when the truth is dug up, a tortured Jennifer watches over her dying husband. But does her maid Beauty have the power to 'save' him, and is the price of remembering a dreadful secret one that Jennifer is prepared to pay? 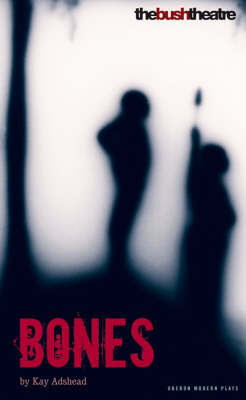 "Bones" is a ruthless excavation of South Africa in 2005, and in an age of threats, retribution and bloody revenge, it is an anthem for hope. It is a production directed by Adshead opens at the Bush Theatre in October 2006.